Discussion in 'Guitars in General' started by EataPeach, Jul 31, 2006. Check out the DiMarzios they have a number of them. Steve Blucher never seems to make a pu I don't like. DiMarzio's are great, Anderson also makes a great stacked HB. Perfect strat set. Dimarzio Virtual Vintage solo(bridge), blues(middle) and Heavy Blues(neck). You won`t be sorry. The new Dimarzio Area pickups. Supposedly, they are a few steps ahead of the Virtual Vintage series in noiseless technology. They sound even closer to the sound of a single coil. I like Caretaker's offering - this is a nice set up, both tonally and output-wise. I am very happy with the set of Holy Grail Lace pickups (no vol. pot value replacement required) that I put in, in place of the stock vintage noiseless fender set in a Clapton Strat. They are very quiet, and sound very "stratty". What's not to love? The new Dimarzio's are very good too though. A lot of praise for the Kinnmans from Australia. A search here, and at the Fender Forum will get you plenty of points of view on all this. Then there is always the new Suhr backplate noise reduction unit for normal single coils (you will need the middle PU to be NOT reverse wound for this to work) very high praise out there on this system; and you get to use the real single coils of your choice! 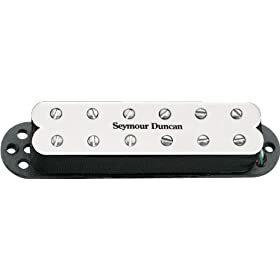 If you're not concerned about it not looking like a single coil, the Seymour Duncan "Little 59" and "JB Jr." are pretty cool. They're side by side, single coil sized humbuckers. If you don't mind waiting a couple months for them to be made, Bill Lawrence makes some of the finest silent single coils out there for an extremely affordable price. DiMarzio HD2's have a good bluesy and classic sound. Sound far more single coil than humbucker. BL noiseless pups are not single coils, they are humbuckers. Hmmm... that's not really the impression I got from Bill when I ordered my L-280 and L-290 set. He gets pretty technical pretty quickly in conversation; perhaps I misunderstood, but I thought he achieved the noiselessness by winding copper in two diff. directions aroung the same coil. Anywho, +1 on the SD JB jr.
My strat has BL L-280 in neck, L-290 in mid, SD JB Jr. in bridge. The 4 position sharing the 280 and 290 sounds awesome on clean with just a bit of bite, while the 2 position sharing the 290 and the JB Jr. just rips. +1 on the Duncan JB Jr and Hot Rail. I have a Hot Rail in the bridge position of my Charvel frankenstrat. 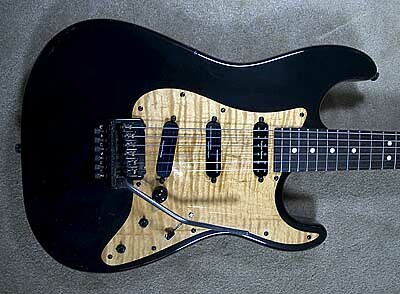 I like the Gotoh Blades (neck & miuddel) and Power Blade (bridge) in my G&L Legacy Special. No idea if they are avaiable for sale seperately though. Double winding is a dummy coil. Humbucker. Single coils are the only pups that sound like single coils.